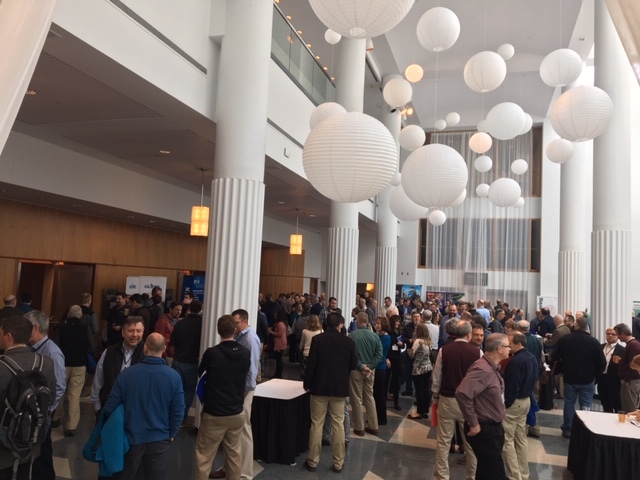 Over 550 attendees participated in the 15th Annual CNY Engineering Expo on November 12th, at The Onecenter in downtown Syracuse, NY. 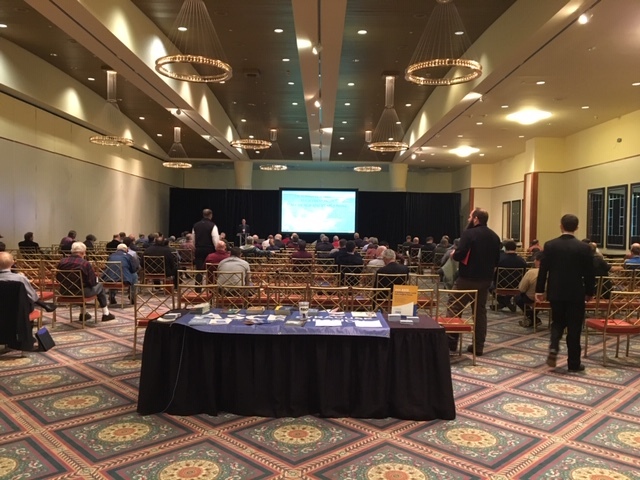 This year’s event included the opportunity to earn up to 7 PDH credits with more than forty speakers and seventeen exhibitors offering seven separate engineering education tracts: civil, electrical, fire protection, mechanical, lighting, structural and professional/sustainability. During the lunchtime program, Don Nims, PE, presented a compelling Ethics program engaging the audience with live interactive questions and answers with results tallied in real time. Don is a long-time member of NSPE and former president of The New York State Society of Professional Engineers. As this year’s event took place on Veteran’s Day, all veterans in attendance were recognized for their service – an impressive number of engineers in attendance have served our country. The highlight of the event was the announcement of the first recipients of the Mike Hayes Memorial Scholarship. Mike Hayes was the visionary and founder of the Expo who passed away much too soon in 2017. Mike worked at C&S Companies as an electrical engineer for many years and was very involved in the community. The first winners of this scholarship are Madison Gross and David Procopio, both seniors in college studying engineering. Save the date for the 16th annual CNY Engineering Expo November 4, 2019.